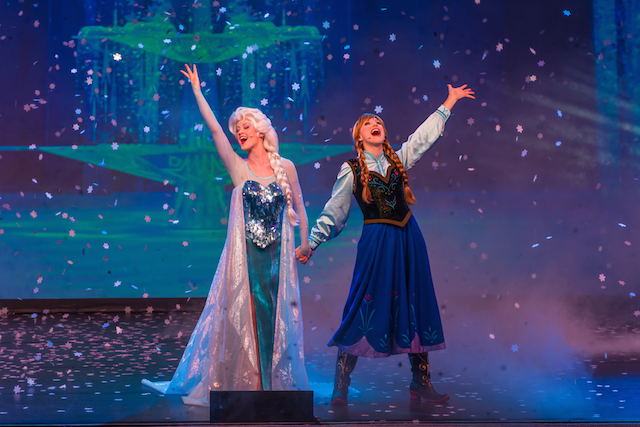 In 2016, a Frozen themed musical will hit the stage at California Adventure Park. Disney’s Aladdin- A Musical Spectacular has performed at the Hyperion Theater for 12 years, but alas, they will take their final bow on January 10th, 2016 in order to make room for something a little cooler (pun intended). Walt Disney Imagineering plans on giving the audience the “wow” factor that they would expect from this popular movie. Expect to see show-stopping numbers, amazing special effects, and extravagant costumes and sets. If you were hoping to see Disney’s Aladdin- A Musical Spectacular, you still have time. So go ahead and head to California to see this amazing show and celebrate Disneyland’s 60th anniversary. If you are a huge Frozen fan don’t worry, the new musical is set to open in 2016 so you won’t be waiting too long! Want to book a 2016 Disneyland trip? Dad's friends at Destinations to Travel can help you out - for free! Fun: Disney’s stage productions are always incredible to watch! Magic: Special effects and transformations are expected for this production!